When an employee requests vacation time, users with management access will receive a notification email. 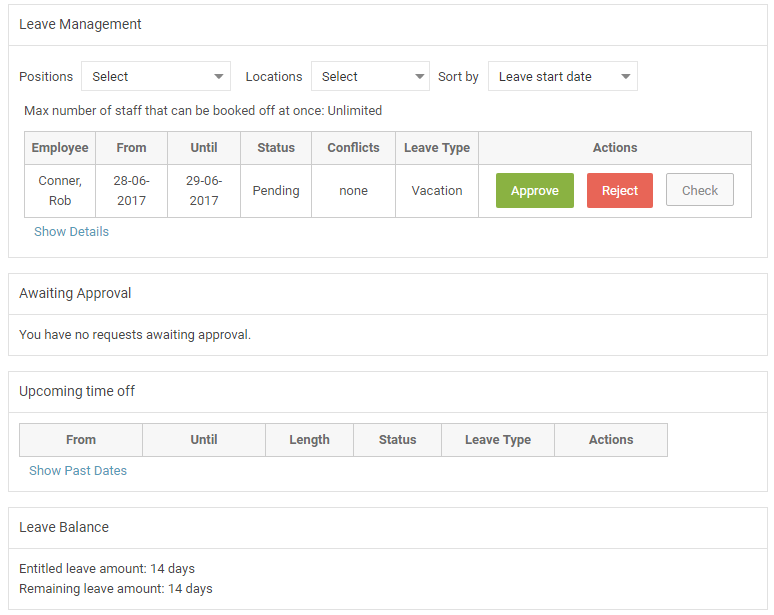 Schedulers, Supervisors, and Managers have access to the Vacation Management section of the Vacation Request system. This section is used to approve or deny vacation requests from employees.